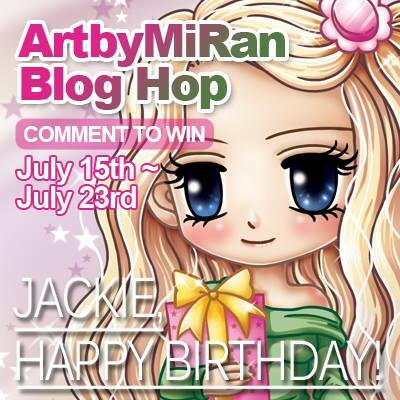 Welcome to our final day of Jackie's birthday blog hop! We secretly organised this 3 day blog hop for our DT leader Jackie, who celebrated her birthday the day before yesterday! Happy birthday Jackie! Wishing you a great day with all your loved ones! 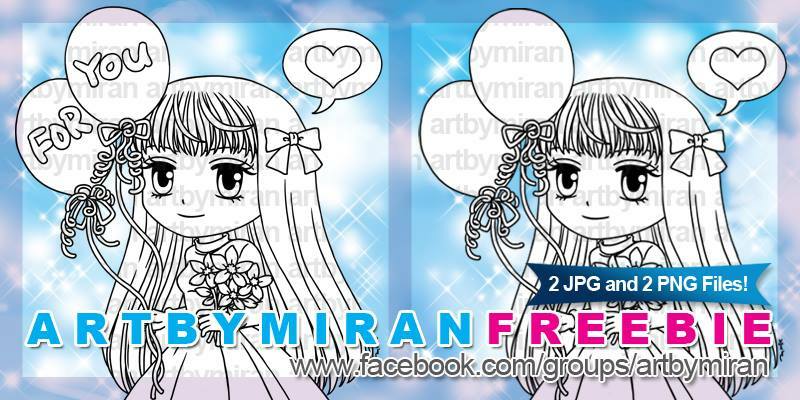 Comment on every stop on the hop for your chance to win 5 Art by Mi Ran images! You should have come from Anne's blog. If not, go back to the Art by Mi Ran blog, and start hopping from there. 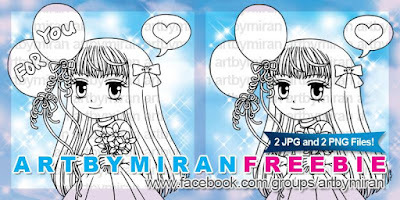 Don't forget to leave a comment to every stop for your chance to win 5 lovely Art by Mi Ran images! We are also celebrating Vannessa's birthday, on our Art by Mi Ran Facebook group, with an awesome freebie and more chances of winning prizes! Thanks so much helping us celebrate Jackie's birthday! last but not ....... your cards are bold so beautiful. The Couloring I live very much. Oh wow, both of your cards are just Fab-u-lous!! These are beautiful! Thanks for telling us what colors you used. Very helpful! Two great cards. Love how you have coloured the balloons in the top card to show the highlights and all the extra balloons on the side. Wow Lisa! These two cards are so gorgeous! I am so happy to see such beautiful cards for both Jackie and Vannessa. Great idea. Sweet Birthday card. Love the balloons and your coloring.